An improv comedy podcast about pets, monsters, and running a small business. 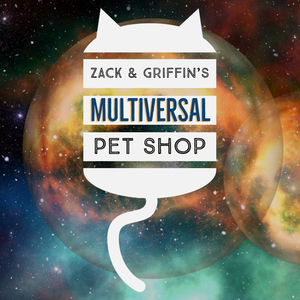 We found 3 episodes of Zack and Griffin's Multiversal Pet Shop with the tag “grick”. The boys are still in town, and still happy to show you around their zoological wonderland. Your friends and good palls Zack and Griffin have gotten into the small business game. Come and check out their wares!